Just like any member of our family, we never want to see our pet suffer. 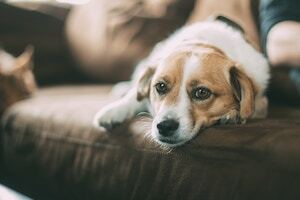 We can examine your pet to help you understand your options, and when all other options have been explored and the decision is made to say good-bye, we’ll do our best to make the process as stress free as possible – for both you and your pet. It is important that you and your pet are in a comfortable, private environment of your choosing. Euthanasia is a service that is available in your home, or in a location of your choosing. Sedation will be administered prior to performing the euthanasia so that your pet is at ease and free of fear. We can discuss pet cremation services and other available options. The decision to euthanize is difficult – even if it is a gift of love to let your pet go with peace and dignity. We are here to help you through this transition, and make the process easier for you.